The sand-sculpting event that drew thousands to Siesta Key last year has raised $20,000 for the Key’s original beachgoers: sea turtles. On Thursday, Feb. 26, organizers of the fifth annual Siesta Key Crystal Classic Master Sand Sculpting Competition presented their generous donation from the 2014 event to the Sea Turtle Conservation and Research Program at Mote Marine Laboratory .During the past five years, the event has raised more than $100,000 total for Mote’s sea turtle program. Mote has coordinated sea turtle conservation along 35 miles of local sea turtle nesting beaches — Longboat Key through Venice — during each day of nesting season, May 1-Oct. 31, for 34 years. The Siesta Key Crystal Classic is a community event overseen by the Siesta Beach Festival Board and organized by a committee led by Festival Chair Maria Bankemper on behalf of the Siesta Key Chamber of Commerce. The event was founded in 2010 through discussions between Master Sand Sculptor and Siesta Key resident Brian Wigelsworth and representatives of the Siesta Key Chamber of Commerce, the Greater Sarasota Chamber of Commerce, Sarasota County Parks and Recreation, Mote Marine Laboratory and Visit Sarasota County. The 2014 Crystal Classic drew 11 teams of Master Sand Sculptors from nations around the world, including Canada, the Czech Republic, Italy, Mexico, Philippines and the United Kingdom, along with multiple U.S. states. “Every year we have produced this fine event, it has grown in a variety of ways, increasing valuable exposure for Siesta Key and Mote while introducing the public to these 10-foot-tall, ephemeral works of sand art,” said Maria Bankemper, Festival Chair and Siesta Key Chamber board member. 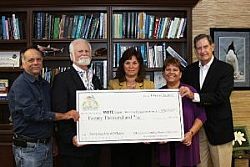 “We are very proud to be a part of such a fabulous event and to also have the ability to donate much-needed funds in support of Mote Sea Turtle Conservation and Research Program,” said Jim Syprett, Siesta Beach Festival Chairman. Mote scientists, interns and volunteers are now gearing up for the 2015 sea turtle nesting season, which starts on May 1.